Subiect: Among the artefacts laid down in medieval tombs, and discovered in the Bucharest city area, the glass bracelets caught our attention. This frequent type of jewelry quite rare, was a subject of study for the researchers. 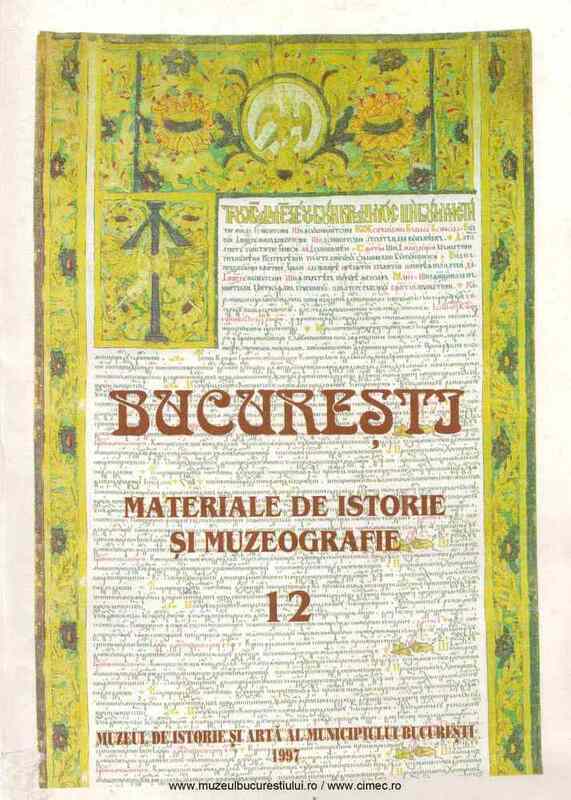 The oldest discovery occurred in Bucharest in the period of time between the two World Wars, and it may be dated as having been manufactured in 2nd or 1st B. C. centuries. In 1953 two fragments have been found al Radu-Vodă, dated in the early feudal epoque. But lacking accurate conditions the discovery may be dated in the 18th or l9th centuries. The samples were found in tombs as fallowing: Văcăreşti Monastery (1pc), Flămânda Church (2pcs), Paraschiva Domneşti Church (2pcs), Ordoreanu (1pc), Căldărarii Vechi Church - Grozăveşti (1pc). Excepting the bracelet found al Ordoreanu, all others samples, as we believe, were ma de in our country’s work-shops. The bracelet from Ordoreanu is decorated with glass buttons incorporated in the bracelet paste body. In order to get supplementary information’s a composition fluorescence analyze of the glass has been done. As a result, it was found out that, glass Bracelet manufactories existed between the 18th and 19th centuries.